Boatshed London are delighted to offer this 53ft (15.3m) Dutch Barge with Poplar Dock residential mooring. Originally built in 1909, converted in 1953 and extensively refitted by the current owner in 2012, this beautiful and characterful boat would make a perfect liveaboard for an individual or couple. Entering at the stern takes you into the cockpit area with seating for 6 people and removable covers making this an adaptable entertaining space. The saloon has a stove and plenty of light from the large windows and leads down into the galley which has a gas hob, oven, underfloor heating and fridge. The cabin has loads of storage space and a large double bed. The bathroom is located at the bow with full size bath and overhead shower. There is an electric flushing loo into an onboard holding tank. The engine bay is spotless and indicates how well this boat has been looked after, the engine runs well and was serviced in 2018. 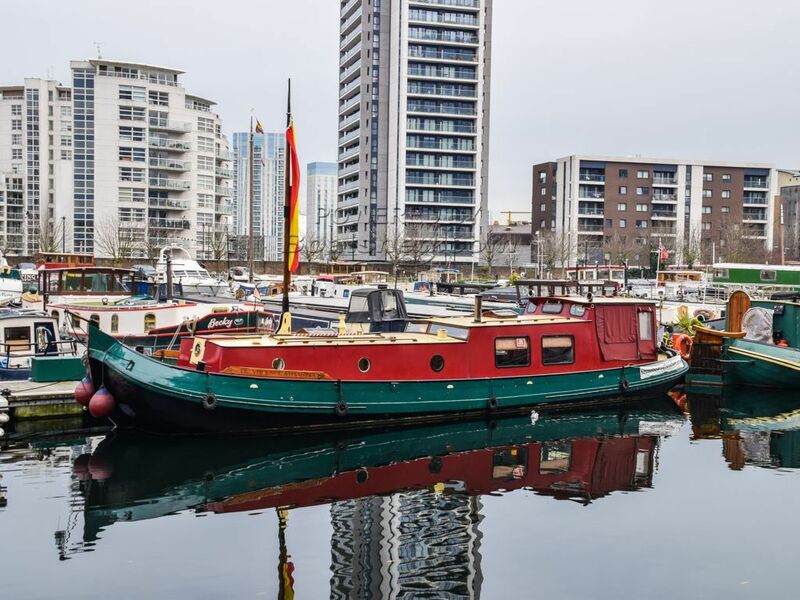 The residential mooring at Poplar Dock is fully transferable (5% transfer fee) and the marina is a peaceful floating village with a strong community spirit. Current mooring fees are £12,450 p.a. upfront, £13,440 paid monthly. This includes use of the laundry, pump out, communal BBQ area. Parking is available (£600 p.a.). This Dutch Barge 15m With London Mooring has been personally photographed and viewed by Angus Rose of Boatshed London. Click here for contact details.